Remson Welsh stepped up to the mic, head held high. Making eye contact with the audience, she launched into an original poem, delivering rhythmic lines laced with internal rhymes. "So if you don’t mind my asking…what are they mixed with racially?" 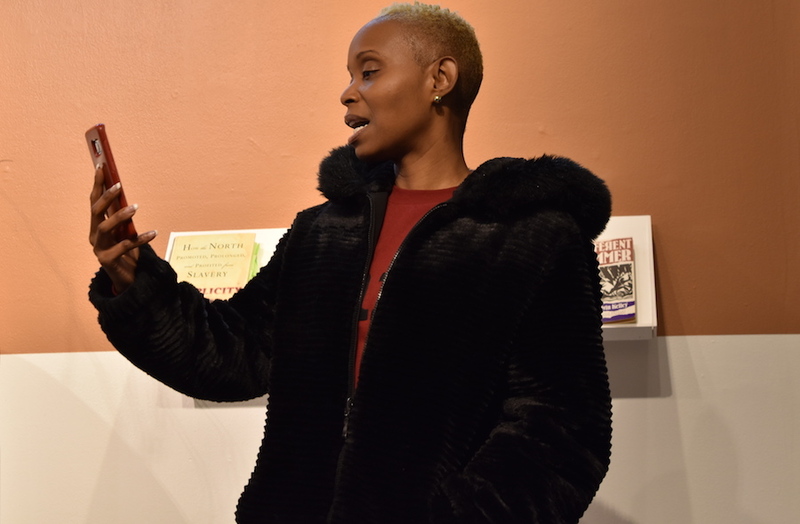 Welsh performed her poem “objectification is not admiration” for the three dozen audience members who gathered for The Word’s monthly Lit Cypher Thursday evening. 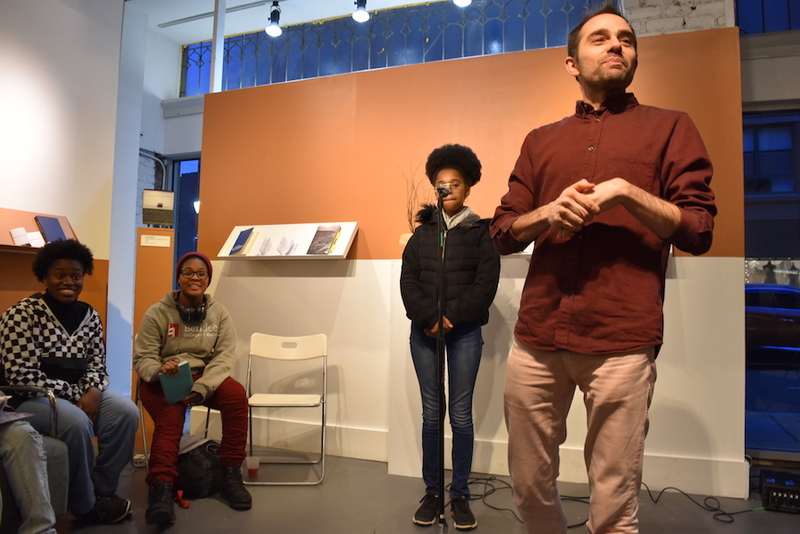 Hosted at Artspace New Haven, the event doubled as an album release party for ¿Citizen?, a collection of spoken word pieces written by New Haven youth, and recorded right across the street from Artspace at Baobab Tree Studios. 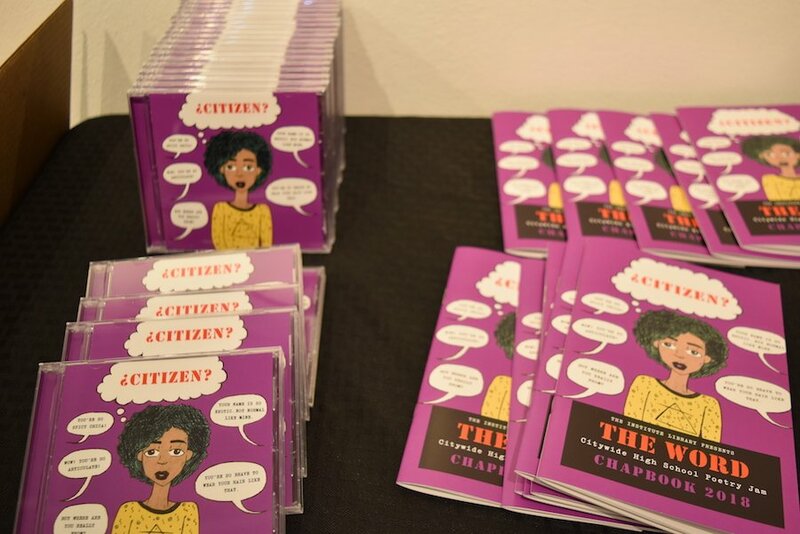 The album was inspired in part by Claudia Rankine’s book Citizen, which The Word used as a foundational text last year when it was the city’s “Big Read” book of the summer. Copies of the album as well as the accompanying chapbook were available to attendees for a suggested donation. Copies are also available through The Word’s website. For over six years, The Word has worked in New Haven’s middle and high schools to provide literary arts education through spoken word poetry. Run by poets and cultural activists Hanifa Nayo Washington, Aaron Jafferis and Abdussabur, Word mentors call its teaching artists “Jedi Wordsmiths,” and send the experienced poets and educators out to take up residence in schools, collaborating with classroom teachers or leading after school programs. 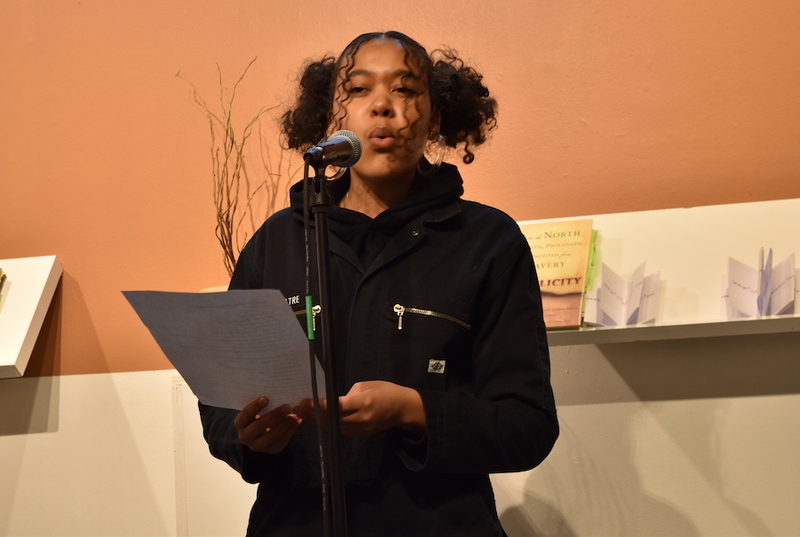 Each year, the work culminates in the Citywide Youth Poetry Jam, which will be held this year on May 3 at Cooperative Arts and Humanities High School or Co-Op. This past December, The Word began offering weekly workshops for interested youth from across the city. Abdussabur said the move was a response to significant community interest in continuing the work that goes into the citywide jam on a weekly basis. The free workshop is open to youth ages 13 to 19 and meets at Artspace each Thursday from 4-6 p.m.
Each week Abdussabur chooses a theme for the week’s workshop—recent themes have ranged from Kanye West to sacred geometry—and develops activities around it. There’s always a discussion, time for writing, and an “activation”—an interactive game designed to get participants on their feet, connecting the big idea to some form of movement. Abdussabur sits next to young poet Tahjee Galberth. Word Founder Aaron Jafferis on right. One of last month’s workshops was inspired by a poem of Abdussabur’s that explored how different they are from their mom, Fit Muslimah trainer and bean pie baker Mubarakah Ibrahim, spiritually. “In my house, religion is the elephant in the room,” they explained. Abdussabur challenged the youth to examine their own family relationships, and made it a sensory experience. “What is the elephant in the room in your home or in your relationships? What does that elephant look like? What does it smell like?” they recalled asking. During that same session, the group played a type of tag game where the person caught in the middle of the circle had to share one way that they are different from their parents. Afterwards, there was time for writing and sharing, and those pieces became the focus of the December Lit Cypher. Welsh: I was fed up. Done. Like lady where is your head spatially? Reflecting on the power of the program, Abdussabur remembered one particular teen who recently came to the group. “When she first came in she said, ‘I don’t want to be here.’ So I said, ‘That’s cool. But you’re welcome here,’” Abdussabur recalled. As a way of reaching out, Abdussabur decided to share a particularly vulnerable poem. “When I finished I thought it was inappropriate and I was very embarrassed,” they said. But the next week that student returned and shared her own poem inspired by Abdussabur’s piece. “I was blown away by how talented she was and that she took something I felt weird and uncomfortable about and turned it into a powerful experience for herself,” Abdussabur said. Abdussabur “came up” in The Word, participating as a student from the time they were in high school. The experience was pivotal for them. They’ve watched it change homes without a permanent spot, from the nearby Institute Library to Neighborhood Music School to Artspace, with performances in the New Haven Museum, NMS and Co-Op High School, and at the International Festival of Arts & Ideas. Tatyana Rozetta performs her “activation” with a partner. Abdussabur said it’s hard to watch new development projects be completed while the city still lacks a dedicated youth center. They hope their work at The Word will help fill the gap, providing teens a place to find connection for a few hours each week. “There’s no open access to youth programming and a place for young people to be,” they said, adding that spaces like The Teen Center at Ives Main Library help, but aren’t a complete solution. On third Thursdays, the Weekly Word Workshop opens its doors to people of all ages for their Lit Cypher. The cypher (or cipher), which has its origins in hip-hop culture, is something like a jam session in which artists take turns freestyling in a supportive environment. “It’s a space where everyone is cool with messing up, just being themselves, and flowing,” said Abdussabur. It’s also a time when participants can learn from more experienced artists as well as taking new risks to expand their own art. 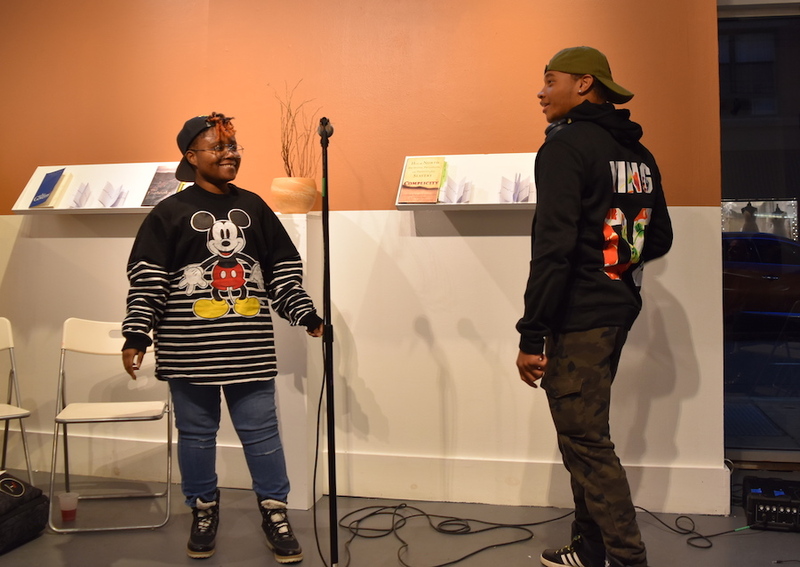 Plenty of teens tried out poems on the mic last Thursday. 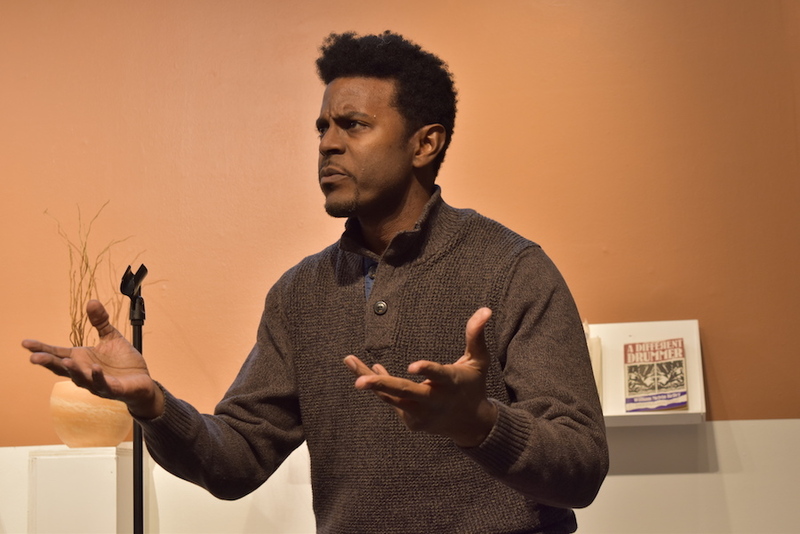 Tarishi “M.I.D.N.I.G.H.T.” Shuler (pictured above), one of The Word’s Jedi Wordsmiths, gave a polished performance that demonstrated just what those young performers are working towards. His resonant voice filled the space without the microphone and he used his entire body to convey each poem. 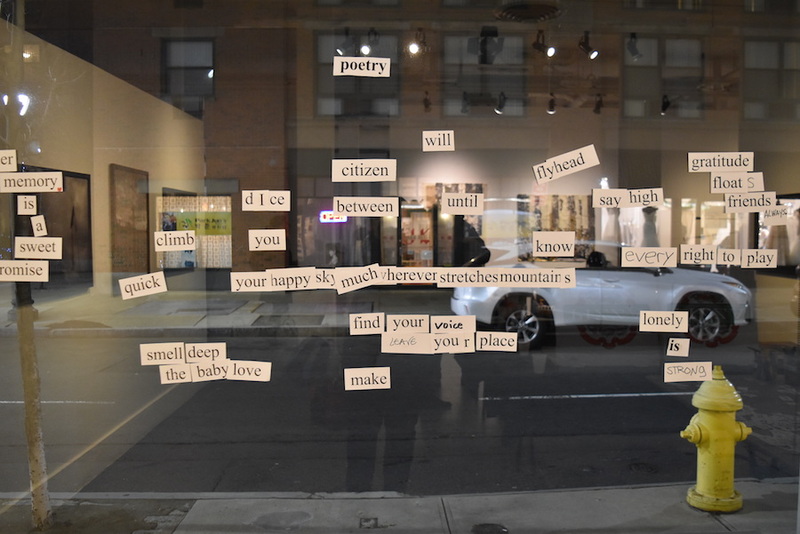 In honor of the album release, the cypher had participants questioning “What am I a citizen of?” After an activation in which pairs of attendees found an action and sound that represented their answer, Artistic Director and Word Founder Aaron Jafferis encouraged participants to incorporate the action and sound as sensory details into a new poem about being a citizen. There was time for everyone to grab a piece of paper—or take out their phone—find a quiet corner and maybe a friend, and write. During the open mic session that followed, Taylor Rozetta stepped forward to share what she had written. “I am a citizen of hope. How funny. I used to think hope was for suckers,” she began. The audience was quiet, soaking in what she had to say. Her poem captured the desperate feeling that comes “when what you hoped for doesn’t come true,” before taking a more positive turn at the end. After several more poets shared, Rozetta and her sister Tatyana encouraged their mother Alea Rozetta to take the mic. “That’s my mom!” the girls called out, applauding loudly when she finished. “Every time they tell me to get up there, but what I write usually stays in a book,” said Alea Rozetta after she read. But that night she got an extra push from her older daughter Tatyana after showing her what she had composed—“Mom, you have to get up there!”—and it was a positive experience for her. “They’re very receptive and accepting. There’s no judgement,” she said. While her older sister attends Bard College in New York, younger daughter Taylor has participated in The Word for four years and now comes every week to the Thursday workshops.